Internet addiction is now a global issue, and China is the first country to classify it as a clinical disorder. 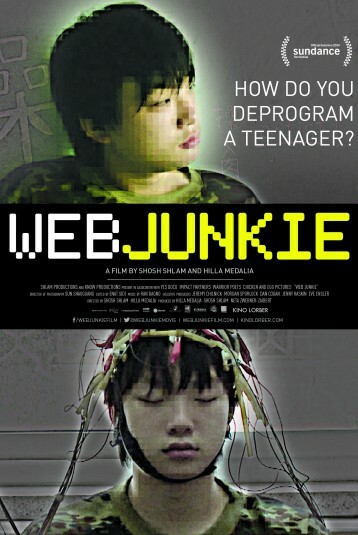 Web Junkie (directed by Hilla Medalia and Shosh Shlam) takes audiences inside a Beijing treatment center and explores the cases of three teenagers who suffer from this 21-century disorder. The program admits children between the ages of 13 and 18, and forces them to undergo military-inspired physical training and comply with monitored sleep and food standards. Despite such conditions, parents voluntarily send their children to the treatment center and relinquish personal involvement. But as these young teens struggle with online withdraw and a controversial treatment, questions about the nature of addiction, emotional attachments and cure come to the fore. Ultimately, Web Junkie provides a microcosm of modern Chinese life and takes a hard look at one of the symptoms of the so-called Internet age.